hd00:15Family on bicycles in nature. 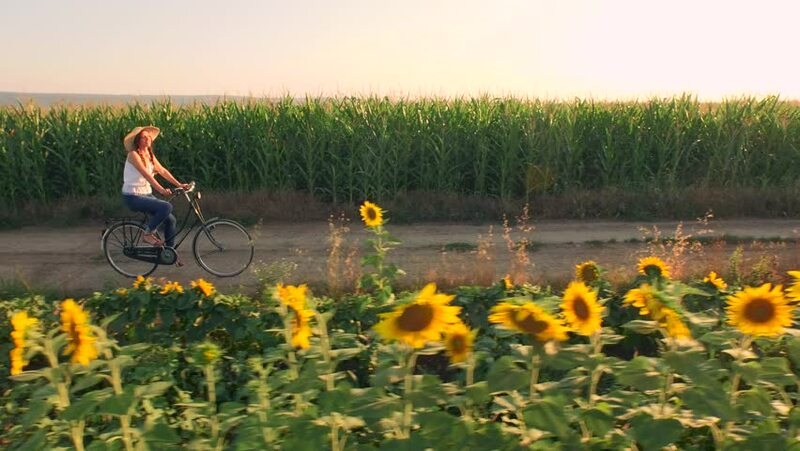 Mom and daughter on bicycles on a field of sunflowers. Mother and daughter in hats are walking through sunflowers field. The concept of the family.